A reserve baseball player who just can’t let it go. Is the hero of the grand slam home run when nine innings under two outs during the high school baseball semi-final competition, sending his team to the final. Soon he was recruited by professional baseball team. Until then, he still dreaming of the thought that the day of “write baseball, and speak Kim Young Kwang” is coming soon. But soon he was delegated to reserve team. The only son of third-generation Kim family. Though is full of respect for his father and responsible, but currently he is the son of poor noddle restaurant. The secondary baseball player who is lingering on the reserve team for 7 years. Although in such dire situation, but he is not the kind who gives up easily. The worse the situation, he continues to use his self-confidence and the spirit of feeling good about himself to endure it, wanting to show that hardworking can win over the world. But contrary to his belief, his skill couldn’t be improved, and he is been given last warning by the team. To make matter worse, he is injured during competition, and encounters the worst time of his baseball career. At this time, the girl who changes himself forever, Jae In, appears. Assistant nurse who aims to be Nightingale. Born to be a cheerful and lively person who always thinks positively, and personality is warm too. Because of liking people, so no matter where, when there is something happened to anyone, she will rush like a Astroganger to the scene, is a personality that can’t stop if does not solve the problem. No matter she is in what kind of crisis, she will face it with the slightest positive spirit. In fact she may just feel grateful and through it with smile. She was sent to nursery since 7 years old. She who had to learn how to live by herself when young, decides her future after reading the biography of Nightingale, and manages to become an assistant nurse under the condition of not knowing her parents, nor know if she has any family members. But her problem is that she always meets with accident when approaching important days, and already had two experience of failing national exam. But she is determined to pass the exam in her third trial, fatefully meets with Great Dragons number 47 beater Kim Young Kwang. Great Dragons baseball team number 4 batter, the only son of Seo Jae Myung. The second generation of wealthy chaebol who is rude and cynicism, don’t know how to say words to please others, and don’t care about the hurt and humiliation that brought by his words. Feel that everything emotion is childish and old-fashioned. During junior high school, he was kidnapped, although he escaped dramatically after one week, but he is suffering from tic disorder as aftereffect. What saves him is baseball. When he is holding baseball bat, his soul is calm. Permitted by his father, he starts playing baseball, and enters the Great Dragons team which the boss is his father. And he has even climbed to the position of forth batter. But because of being forced by his father to retire, he is in a situation of no longer able to play baseball. 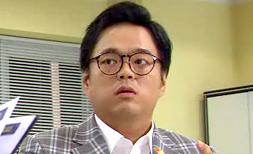 But he meets with Yoon Jae In. Even though he gets to know it’s his father who takes away everything of Jae In, he still loves her. Uncle of In Woo. A ambitious schemer who dream of being the successor of Great Trading Company. He who is upright and fashionable always hangs a kind smile on his face. Anyone can close with him easily, have a cordial caring heart. Coupled with smart mind and ability, is a valuable man who owns everything. But, inside his heart is relentlessly dark, and always calculate carefully. In order to get what he wants, to achieve what he aims, he can wait patiently. He is a person who knows sometimes he just need to wait patiently. 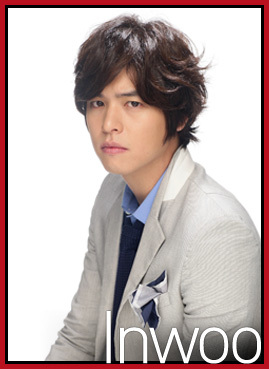 Now works under Seo Jae Myung, is his close confidant, and engages in shady things. But he plans to step on Jae Myung. A ambitious person who wants to control everything Jae Myung currently enjoyed. Owner of the noodle restaurant, father of Kim Young Kwang. Because of inward personality, he seldom speaks, and is not good at expressing his inner thoughts. Feel the best thing to do is to earn money for the family. So he keeps on working queity, putting all his efforts into earning for the family. Although he lives as such, and does not stand out to do anything, but he feels go at it. 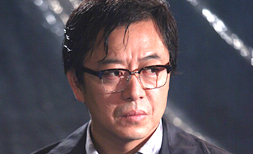 17 years ago, he is one of the culprits that brought disaster to Jae In’s family. But he lives in guilty conscience for his whole life, and has a change of heart and decide to restore Jae In to her original position. Female owner of the noodle restaurant, mother of Kim Young Kwang. Straightforward and good in talking, and if she is really furious, she can speak foul words as naturally. Because she grew up in hardship, she is used to complete her sentence with the phrase of “if no money then be frugal.” Share with water used to wash face with her children. Want to have a hand in everything of Jae In who lives under the same roof. But, she nonetheless put in all efforts to protect and support the family that lost the father. A typical example of strong, fierce and tough mother in modern era. 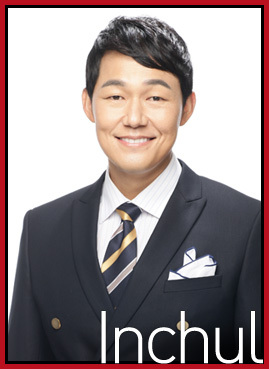 One of the secretary of Seo Jae Myung of Great Trading Company. In order to escape from her family which is poor and shallow (as per her thinking), she studied hard, and works hard. Finally successfully climb to the position of secretary in Great Trading Company. For her there is only job, for which she wants to excel in, and she is not interested in any other things. Jobless, dream to be an actress. Beautiful, active and cheerful. And very selfish. Dreaming of been a celebrity since high school, and have tried all the auditions by agencies, but failed every time. To Jae In, she is like Cinderella. But she is the source of vitality in Kim’s family, and exists like a mascot. Although seldom talk during normal times, but has a upright personality who can’t let unfair things to rest. She thinks that there is no extremely furious or extremely disappointing things in life. After Jae In becomes a member of the family, she becomes the person who supports her. President of Great Trading Company. Father of In Woo. Has strong will of winning, if he is in a gamble, he will fight until the last minute. Will use all tricks and means to get what he wants. He believes the greatest principle that can shakes the world is to be strong and beat the weak. A principle that the strong will thrive, while the weak will die. So he is especially hating the weakness of his son Seo In Woo. But at the back of his current wealth and fame, hidden a tragedy that nobody knows. Wife of Seo Jae Myung. Mother of In Woo. Was employed as exclusive model of Great Trading Company at age of 23, and was courted by Seo Jae Myung. The next year, although with the gap of 10 years between them, she married him. 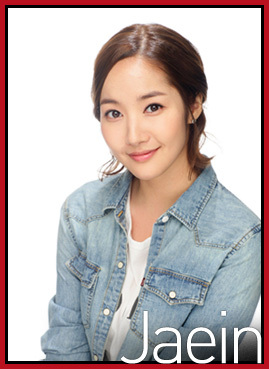 When comparing with status of been Seo Jae Myung’s wife, she is more often been treated as actress. Even when her only son is suffering from tic disorder, she is thinking of accepting it just like in the drama. Is a person who has no sense and has no worldly wisdom. The legendary king of sales in Great Trading Company sales department, who is also its leader. Every month he is retaining his position as king of sales with shockingly sales result which always set new records. For sales performance, he is following the principle of no humanity. As the superior to newly joined Young Kwang and Jae In, he is torturing them on every matters, and constantly pushes them to crisis and danger. But behind him, hidden some person who teaches him. Agent and confidant of Heo Young Do. Everything is like a knife, punctuality, adherence to rules, state of suit and etc. Everything is very standard as though it’s specially made for him, a neat person like a knife. Used to stumble in life, but because of a pull by Heo Young Do, he becomes a man again. A person who can sacrifice his life for Heo Young Do. Head of design studio in Great Trading Company. Cool and frank woman, worship fashion, thinks the style is as important as life. No interest in world affairs, but managed to obtain master’s degree in psychology. She loves to read, just hate to read newspapers that always report darkness and unhealthy practice in society. Most importantly, she who is honest to herself hates the person who is artificial, or pretending to be humble in manner. Was a schoolmate of Seo In Woo and Kim Young Kwang. During school time, she loves Young Kwang more. 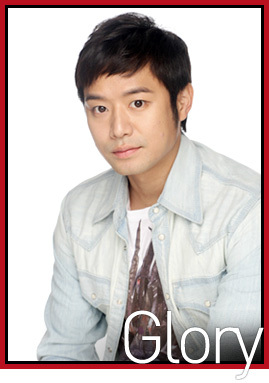 But for marriage, she chose between Seo In Woo and Seo In Chul. In other words, she is a person who enjoys practical love. The appearance of Jae In let her felt threaten. Generally quiet, is not eloquent, but likes to eat. Is a section chief for a long time, but under pressure of retirement by the company, he joins group of Heo Young Do. It’s a mystery why Heo Young Do would accept him. The actual owner of Great Trading Company. Died unjustly in accident. On the day when her husband passed away, she encountered incident that caused her to fall into coma. In half vegetable state for 17 years, and awakes once again. 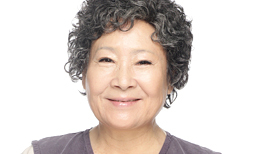 The person who recruited Young Kwang, relative of Heo Young Do. The batting trainer of the reserve team. 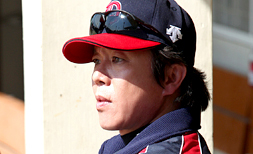 Used to play the third and forth batter with Heo Young Do. Now he lives without any aim in life. Although he has different opinion with Heo Young Do in almost every cases, but he has a intriguing sense of respect to Heo Young Do. 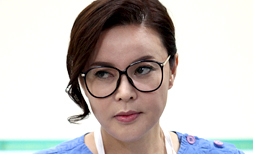 Boss of Jae In, a head nurse who is like a Fascist. A principle person, with authoritative way of thinking. Treat Jae In who always follows her order but careful as the most hated person. That’s the reason why there is so much trouble in the life of Jae In. But later will admit Jae In’s sincerity and her value. 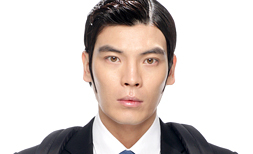 Used to be good friend and classmate of Yoon Il Goo. Female prosecutor. 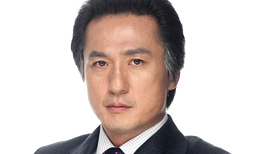 Used to be the investigator for the illegal fund of Seo Jae Myung recently. After the accident of Yoon Il Goo, she continue to suspect something amiss. At the return of Jae In, she tries to get close to her truthfully. Is a character that protects Jae In, leads Jae In.